Are you done with your oily face? Do the wrinkle lines around your eyes bother you so much? Have you tried so many creams and lotions for acne prevention to no avail? Do you think your pimple scars are making you less desirable to potential dates? Many men suffer from various skin problems that affect different aspects of their lives. They not only end up spending a lot of time and money hunting for effective skincare products or procedures to achieve smooth and clear skin, but they also feel less attractive and have low self-esteem. 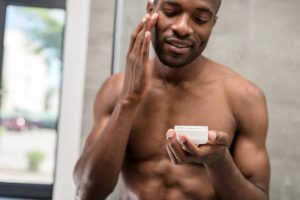 From a young age, it is essential to teach men the importance of personal hygiene to establish a routine that can reduce the risk of pimples and other skin problems as they grow older, and keep their skin healthy and glowing for a long time. Did you know that your face is exposed to tons of dust, grime, and other particles everyday and these can accumulate on your skin and cause acne, pimples, and other skin problems? To not let these impurities build up, you have to wash your face at least twice a day — in the morning before heading out and at night before going to bed. Through washing with mild facial soap or wash and water, you can get rid of all the dirt, dead skin cells, and other irritants, and leave your face clean and fresh. Do you make sure to drink at least 8 glasses of water everyday? For smooth and clear skin, you should ensure that you are consuming enough water and other liquids per day to not only get your bodily systems functioning right, but also keep your skin hydrated. With enough water, your skin can flush all the toxins out and stay away from wrinkles, keeping you looking young and radiant. Have you ever applied moisturizer on your face? After washing your face, it is best that you use moisturize shortly after to prevent the moisture from escaping. Nowadays, moisturizers come in different forms, shapes, and sizes, and they are made with healthy and organic ingredients that can help different skin types. There are moisturizing creams and lotions that are appropriate for dry skin, flaky skin, normal skin, and oily skin, and you should pick one that is right for you. Are you worried about wrinkles even if you are still in your early 20s? In case you did not know, there is no set age for when men start getting wrinkles. These unsightly skin lines can strike you, whether you are 25, 30, or 40, depending on your lifestyle habits and routines. If your skin is always dry or is frequently exposed to smoke and other toxins, you are more likely to develop creases on your skin than someone who regularly washes, moisturizes, and protects theirs. For your benefit, you should consider using anti-wrinkle or anti-aging products as early as possible to keep your skin healthy and slow down the effects of aging. How many hours of sleep do you usually get every night? If you enjoy at least seven hours of comfortable and uninterrupted slumber daily, your risk of suffering from acne and other skin problems is not as high as someone who gets woken up every couple of hours or barely sleeps a wink. To improve your sleep patterns, you should work on creating a good sleeping environment at home. You should clean out all the mess, avoid using your phones and gadgets in bed, close the curtains and windows to keep the room dark and noise-proof, change your pillow cases and sheets often, and keep your room cool. How much fruits and veggies do you eat everyday? Just like your heart, brain, lungs, and other vital body parts, your skin needs essential vitamins and minerals to stay healthy. Every meal, you should include a serving of these natural and organic eats to feed your body antioxidants, fiber, and other nutrients. For a fabulous skin, you should eat fruits rich in vitamin C, such as guava, papaya, oranges, strawberries, blueberries, and kiwi, and vegetables loaded with antioxidants, like spinach, kale, broccoli, artichokes, and beets. Do you have a sweet tooth? Indulging yourself in your favorite ice cream or chocolates occasionally is not a bad thing. But, if it happens too often, you are only increasing your odds of suffering from various health problems. With high levels of sugar in your body, you become more likely to gain weight, and develop diabetes and heart disease. Furthermore, your skin will experience breakouts more frequently too. Do you like to go to the beach to sunbathe? 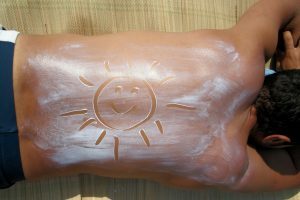 According to medical experts, too much sun can bring harm and damage to your skin. The sun’s rays can slow down your body’s collagen production and impede cell growth and development, resulting to a faster aging process. To protect your skin when outdoors, you should remember to use sunscreen with an SPF of at least 15 to act as a shield against the negative effects of the ultraviolet rays. Have you put some thought on what things in your daily life stress you out? 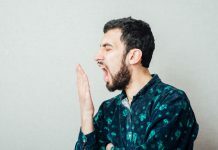 If you have to endure a two-hour traffic every morning just to get to work, or work overtime everyday because of a very demanding boss, your stress levels must be skyrocketing. Too much stress and pressure can have negative effects on your mood, concentration, and memory; weaken your heart, immune system, and other vital body parts; and damage your skin. For good health, you should find a way to keep your stress levels down. You can start exercising, spend an entire day or two just relaxing and not thinking about work, go to a spa and enjoy a deep massage, or get into yoga or meditation.